With time, however, many women turn more to turtlenecks than to clothes that expose the neckline. Why? The skin covering the chest area tends to get a lot of sun exposure and is thinner than that on the arms and legs, making it extremely vulnerable to sun spots, wrinkling, and other signs of aging. 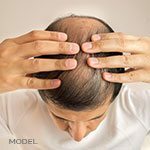 Throw in the volume loss that occurs naturally with aging, and the neckline quickly loses its youthful appearance. 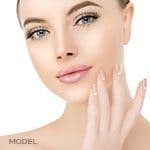 We’ve long addressed the fine wrinkles, heavier lines, and skin pigmentation issues that affect the face, but few talk about what do to about the part attached to and directly below the face. The good news is this: Many of the noninvasive, lunchtime procedures we do to make the face more youthful also work well on the décolletage. Décolletage rejuvenation starts with topical solutions, such as hydroxy acid, retinal, or antioxidant creams. These help to smooth the skin and increase collagen turnover. We then turn to in-office, lunchtime procedures for more noticeable results. Our options for décolletage rejuvenation include a range of peels, from microdermabrasion to chemical peels. Skin peels work with the topicals to remove signs of aging, from wrinkles to sunspots, revealing a more youthful skin layer. For the deeper wrinkles or lines, we have the options of neuromodulators, such as Botox or Dysport, as well as fillers. Botox or Dysport do much the same on the chest as they do in the face, disarming the muscles that cause the lines. Neuromodulators work on wrinkles caused by muscle contraction. The muscles relax, and the wrinkles and lines fade away. For lines that aren’t caused by muscle or movement, we use fillers, including autologous fat along with rejuvenating stem cells (all from one’s own body) to hyaluronic acid fillers, such as Perlane, Juvéderm or Restylane. They work to plump up the lines, resulting in a smooth décolletage. Still one other option is platelet-rich plasma. Many have heard of this approach, which some call the “vampire lift.” It involves taking one’s blood and processing it so that only platelet-rich plasma remains. We inject one’s own plasma into an area in need of repair or restoration (in this case, the décolletage). We use this approach in some patients and often combine it with autologous fat-stem cell transfer. For some patients, the solution is as easy as applying a topical solution to the décolletage; others require a combination of approaches to address their multiple concerns. We recommend combination procedures, based on patients’ specific needs, depending on whether women’s main concerns are discoloration (age and sun spots), wrinkling or both. There are, however, things you should know before treating the décolletage. Choose a doctor who is familiar with what works and what doesn’t in this very visible area. For example, you would only want certain fillers used in the décolletage. Avoid permanent fillers, such as silicone, as well as any filler that is long-lasting and difficult to manage. The décolletage is an unforgiving area. Any lumps or bumps from treatment are disconcerting, to say the least. The skin is thinner, remember, so imperfections are out there for everyone to see. it’s a larger area than the face. While treating the face with fillers might require a syringe or two, the décolletage could require as many as ten syringes for a full result. MilfordMD Cosmetic Dermatology can help patients with the bottom line, or price. MilfordMD has achieved Double Titanium Chairman’s Board status with Medicis (manufacturer of Perlane, Restylane and Dysport), the highest level possible for a clinician injector. We are therefore able to offer patients a substantial volume of reparative hyaluronic acid for considerably less money.